Hey guys, today we are going to talk about Stephen Builds Kodi Krypton. Stephen Builds are very popular for making extremely good and smooth working builds like stardust for Krypton and Mach for Jarvis. Before they have provided lots of builds for Jarvis and currently working for Krypton. Stephen Builds includes Mach 1, Reborn, Nebula and many more for Jarvis while Stardust, KRS Nebula, Supremacy and many more for Krypton. This build offers ton of popular and current top Addons. 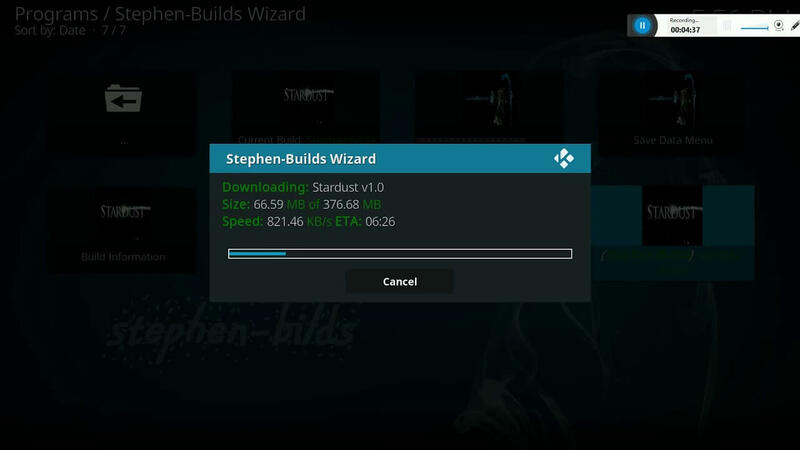 Stephen Wizard is now Installed. Next articleHow to Install SubZero MMA Kodi addon.